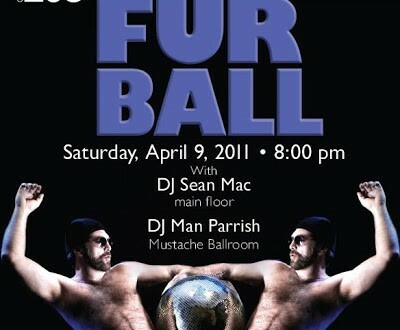 Furball continues its exile from the LGBT Center this Sunday at BPM in Times Square. Advance tickets are on sale here. Always a mob scene. Furball continues its exile to Times Square on Sunday as remodeling continues at the LGBT Center. Always mobbed, always a wild time. Get tickets here. See more details on the event’s Facebook page. 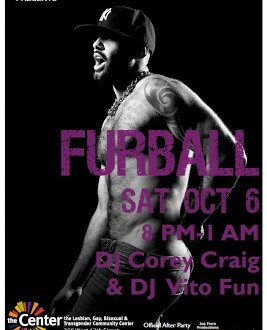 The LGBT Center is undergoing renovations so Furball tonight is at BPM near Times Square. Advance tickets here. 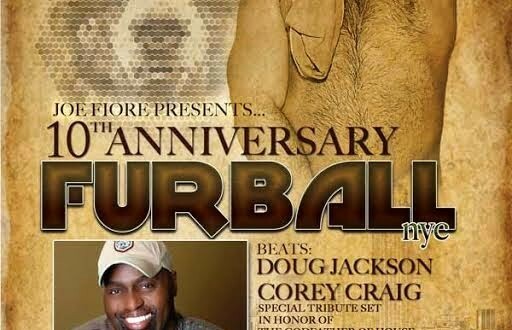 Tonight DJ Corey Craig will spin a special tribute set to the late Godfather of House, Frankie Knuckles, who performed at Furball in the past. Details. 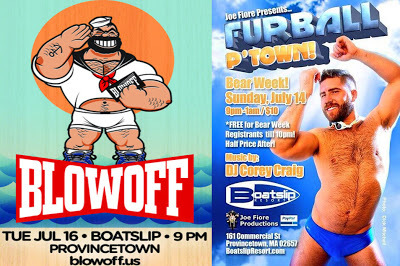 Two of my favorite parties will land in Provincetown during Bear Week 2013, which starts this weekend. 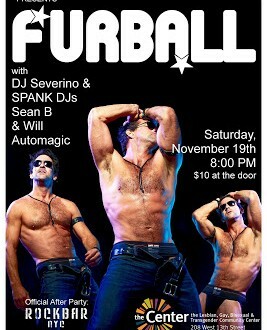 Furball with DJ Corey Craig is Sunday, Blowoff with DJs Rich Morel and Bob Mould is Tuesday. Both parties at are the famed Boatslip, which doesn’t do advance tickets. Parties start and end early, as does everything in Provincetown. 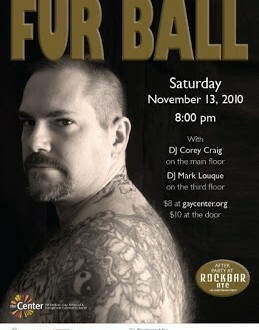 New York City’s most well-attended bear party lumbers into the LGBT Center this Saturday. The party starts and finishes quite early and the fur will be belly-to-belly within minutes of the doors opening. Two dance floors on two floors and a complete mob scene. Early arrival recommended. Furball returns to NYC’s LGBT Center on Saturday with legendary DJ Frankie Knuckles, the man who literally spawned the naming of house music. Doors open at 8PM. It gets very crowded very early, so don’t dally. Facebook page. 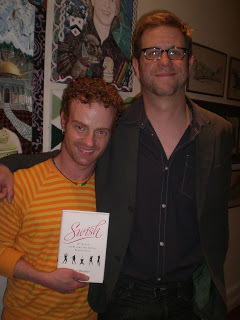 Tomorrow night at NYC’s LGBT Community Center. It’s a complete mob scene. Starts early, ends early. Facebook page here. At the LGBT Community Center. Facebook page. Doors open 8PM, $10. Always a hot sweaty good time.